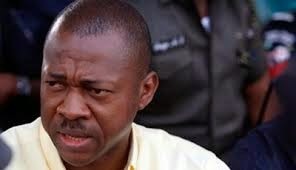 Governor Sullivan Chime of Enugu State in eastern Nigeria has described the threat of impeachment against him by the state assembly as futile. Reacting to the threats while briefing journalists in Enugu on Tuesday, Chime said the assembly had not followed constitutional procedures. The governor said that the constitution required two-thirds of the members to do so but that they did not meet the number. According to him, the state had 24 members in the assembly and only 14 members, including the speaker, met to commence the impeachment proceedings. He said the speaker should get at least 16 members of the house to investigate the allegations against him. “As I am talking to you now, nobody has served me with any notice of any impeachment,” he said. On allegations of financial misconduct, Chime said that since assumption of office in 2007, the accounts of the government had been audited and published annually till 2014. The governor said that the audited accounts and budgets were given to the assembly and interested members of the public. He said that the allegation of forgery of 2012 supplementary budget was a rude shock as he only reallocated funds through virement. Chime explained that the assembly authorised the government to obtain the loan of N11 billion in November 2014 through its resolution which was communicated to him. “Their resolution dated Nov. 13, 2014 authorised the state government to obtain loans of N1 billion and N10 billion from UBA to refinance facilities at the GTB and for infrastructural projects in the state,’’ he said. On concession of the water corporation, the governor said that the government only engaged a company, AG Gold, to help in water infrastructure after previous attempts by three companies failed. Chime explained that everything concerning water was in the law, adding that the government had not gone contrary to the law. He alleged that the aggrieved legislators asked for financial inducements which he refused to oblige. NAN reports that the state assembly has been factionalised, resulting to the planned impeachment of the governor and the speaker, Mr Eugene Odo.